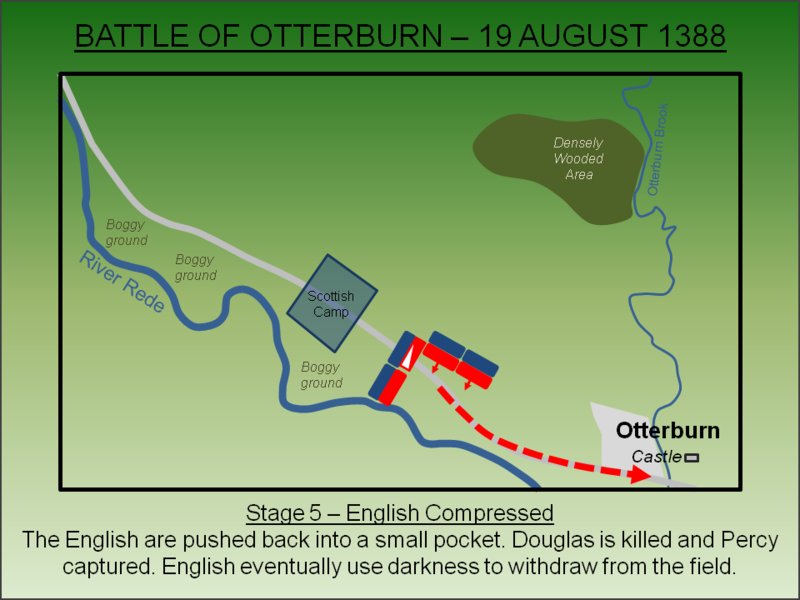 The Battle of Otterburn (1388) was fought on a moonlight night between a Scottish force under Sir James Douglas and an English army under Sir Henry ‘Hotspur’ Percy. The latter had lost a pennon to the former and resolved to get it back. The battle was a Scottish victory but Douglas was killed and Percy forged his reputation in the best traditions of the age. The Wars of Scottish Independence, which commenced in 1296, started a period of border instability that would continue until the Union of the Crowns over three hundred years later. On the national level there was periodic military conflict between the two nations not least as Scotland had forged a treaty of mutual military assistance with France (the 'Auld Alliance'). Fortunes ebbed and flowed between the two sides but, in the latter half of the fourteenth century, memories were still fresh of the humiliating Scottish defeat at the Battle of Neville's Cross (1346) where King David II had been captured and suffered a long imprisonment in England. Aside from national manoeuvres however, there was also a regional dynamic as locals on both sides increasingly took to raiding - the so-called Border Reivers. These individuals used their local knowledge of the wild terrain to plunder both their rivals and those on the other side of the border. To mitigate against this economic plague on the border settlements, both the Scottish and English border regions were divided into three sections each - the Marches - which were allocated to senior magnates to perform a policing role. In Scotland the eastern March was held jointly by Sir James Douglas, Earl of Douglas and George, Earl of March. For England the eastern March was held by Henry Percy, Earl of Northumberland who had risen in prominence to become the leading noble family in the north due to the support of Richard II. Regrettably by 1388, the Percy and Douglas families had developed a rivalry which in itself provided the catalyst for more military action in the border region. Their rivalry had been forged in the Wars of Scottish Independence where the Percy family had been closely involved in the conflicts and claimed territories in southern Scotland. The Douglas family also sought control of those territories hence the animosity between the two factions. The Scottish Marcher Lords had mounted a major raid into England in 1380 combining sea and land forces. Hugely successful, this raid contributed to the general deterioration into open warfare by 1384. Hoping to repeat the success of the previous large-scale raids, in Summer 1388 the Scots launched a coordinated attack on English positions in both the east and west Marches plus Ireland and the Isle of Man. The offensive in the east was led by Sir James Douglas, Earl of Douglas who led his army through Northumberland and into County Durham devastating the country as he went. By mid-August he was heading north and arrived at Newcastle-upon-Tyne where the Earl of Northumberland’s son - Sir Henry ‘Hotspur’ Percy - was defending the city. Percy was defending Newcastle on behalf of his father, who as Warden of the (English) East March, had been entrusted with the security and supervision of all castles in the Northumberland. He fought Douglas in either a skirmish or single combat (accounts differ) outside the walls of the city but came off the worse - he was unhorsed and concussed and Douglas captured his pennon, a banner attached to the end of his lance that bore his coat of arms (a blue lion rampant). Mocking Percy, he said he would take it to Scotland and fly it from Dalkeith Castle. Notwithstanding the victory in the dual the Scots, realising the defences of Newcastle were too strong, withdrew back towards the border. The Scots moved back towards Scotland following the line of the modern A696. 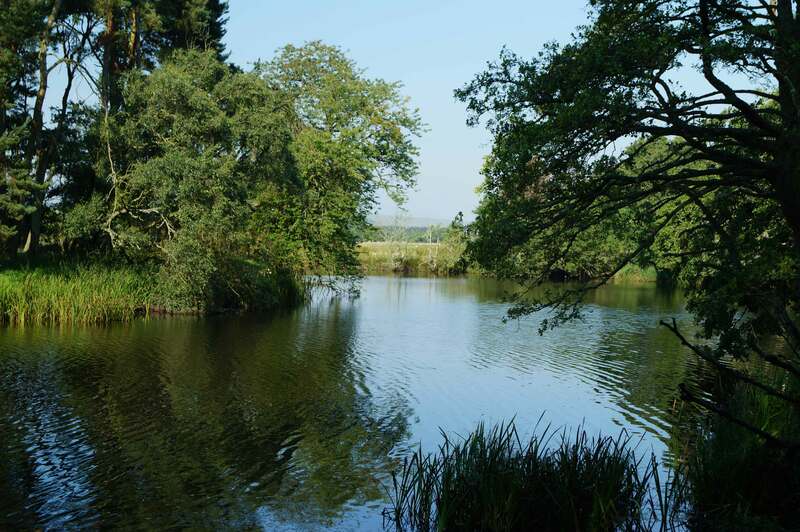 On the morning of 19 August they set-up a camp one mile west of Otterburn straddling the road and a detachment was sent to capture the castle there. It is probable that Douglas suspected Percy would pursue him and he ordered makeshift defences around his camp. Furthermore he personally reconnoitred the area to devise a battle plan in the event he was engaged. Concurrently Percy had indeed resolved to intercept Douglas before he could cross the border. He force marched his army the 30 miles from Newcastle to Otterburn during the course of the 19 August - an impressive achievement although chroniclers suggest a significant portion of his force was mounted. Percy had a force of around 8,000 men consisting of men-at-arms, archers and mounted personnel. His scouts had informed him the enemy numbered as little as 3,000 and on this basis Percy had opted not to wait for additional forces being raised by the Prince-Bishop of Durham. 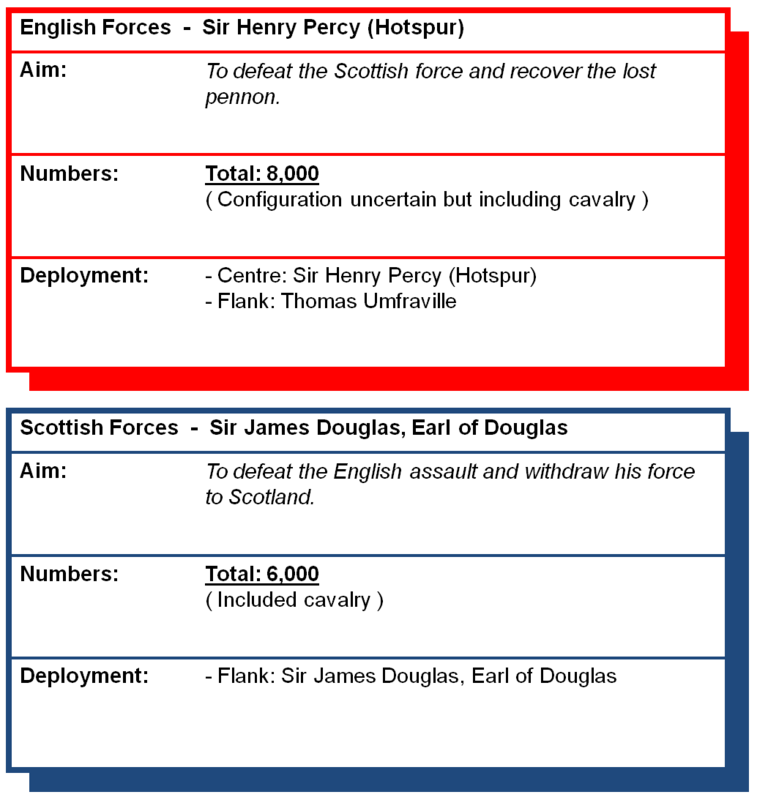 In fact the Scottish force was significantly larger and only slightly numerically inferior to the overall English army. Accounts differ as to the date on which the battle was fought. The 5 August is cited by most chroniclers but this does not marry with the facts described - there was no moon on 5 August 1388. One chronicler, Jean Froissart, gives the date of 19 August and it seems probably this was accurate. Percy arrived at Otterburn around 7pm achieving tactical surprise. The Scots had settled down for the evening and had not expected attack so late in the day. They hastened to arms and, had Percy struck at this time, it is possible he could have overwhelmed the Scots before they were ready. However, he took time forming his men up and devising his plan giving the Scots time to deploy in battle array to the east of their camp. The English, with the larger force, were confident of victory and Percy dispatched a contingent of troops to flank around the Scots position in order to capture their camp and prevent a retreat. Probably led by Thomas Umfraville (some accounts suggest it was Sir Matthew Redman), they took a significant detour to the north in order to evade detection. Once this manoeuvre was underway the main English force, under Percy himself, commenced a full scale frontal assault on the Scottish position. The superior numbers of the English initially had success and slowly pushed the Scots back towards their camp. However Douglas, who had carefully reconnoitred the ground earlier in the day, executed a flanking attack - he personally led a large detachment approximately 300 metres to the north of the main road. Aided by the darkness and woodland, this flanking action passed well within the radius of the ongoing English manoeuvre under Umfraville. Having taken their extended route around the battle, Umfraville's forces finally arrived at the Scottish camp but found it almost deserted. In the darkness he was unable to make out the action a few hundred metres to the east and, after waiting a period, returned to the English lines probably following the same route with which he had attacked. The Scottish flanking manoeuvre, under Douglas, fell upon Percy's right flank. Fierce fighting ensued with Douglas being killed but slowly the English line started to roll up as they were engulfed on two sides by the Scots. The English found themselves disadvantaged on two counts - firstly their longbowmen were unable to see their targets to engage at range and secondly they had marched all day and were exhausted - as the battle rumbled on through the night, fatigue became decisive. 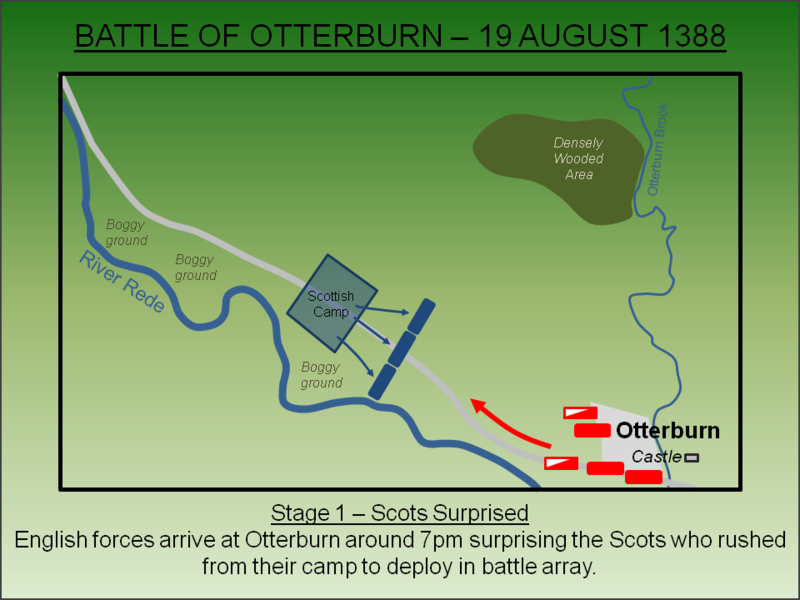 Percy and his brother, Ralph, were captured in the fighting and eventually the English forces used the last hours of darkness to slip away towards Otterburn. As dawn rose the Scots held the field. 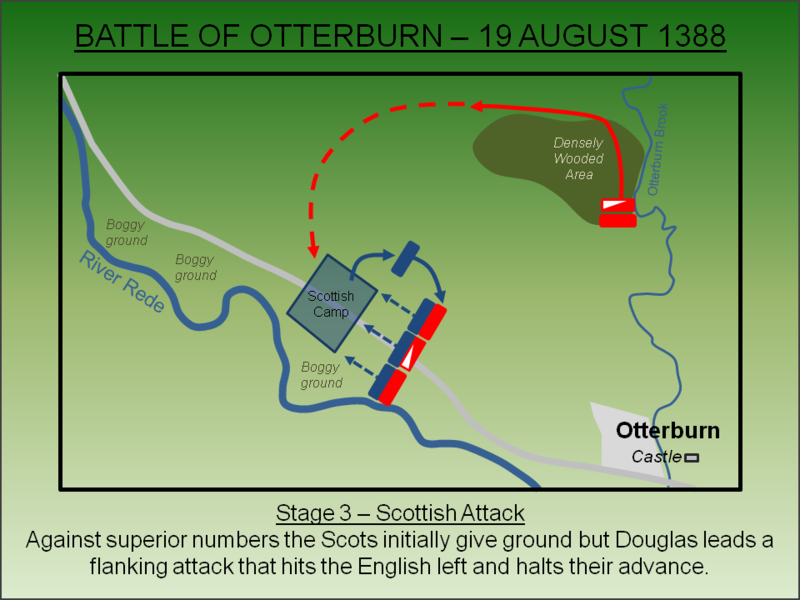 Otterburn was a Scottish victory despite the death of Sir James Douglas whose body was located and a standing stone placed to mark the spot where he was killed. An attempt was made to pursue the English but they had not been routed and the Scottish vanguard was mauled with several hundred prisoners taken. Further English reinforcements, brought up by the Prince-Bishop of Durham, encouraged the Scots to withdrew north of the border with their rich prizes - Sir Henry Percy and Ralph Percy plus many of other Knights - who were all ransomed. Despite this defeat though, Percy’s decision to pursue the Scots over a pennon turned him into a national hero. A little over a decade later, he achieved a stunning victory over the Scots at the Battle of Homildon Hill (1402). Armstrong, P (2006). 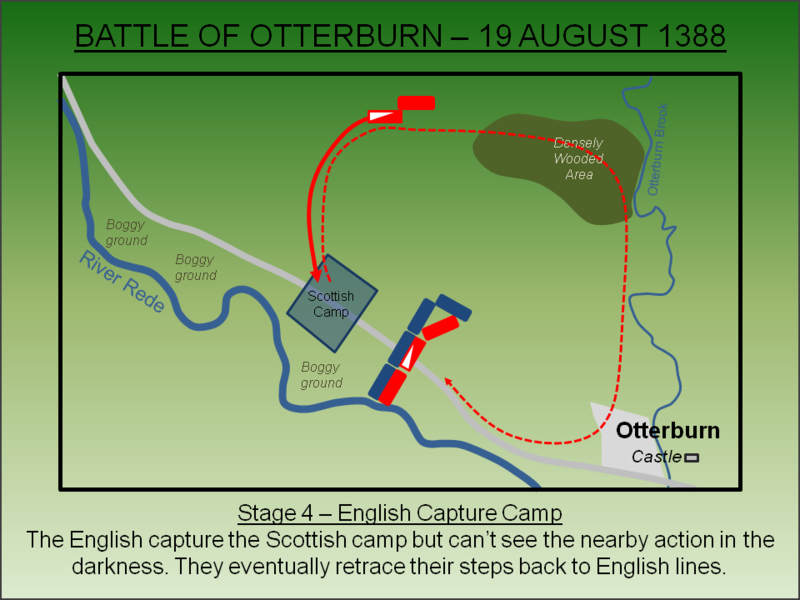 Otterburn 1388: Bloody Border Conflict. Osprey, Oxford. English Heritage (1995). 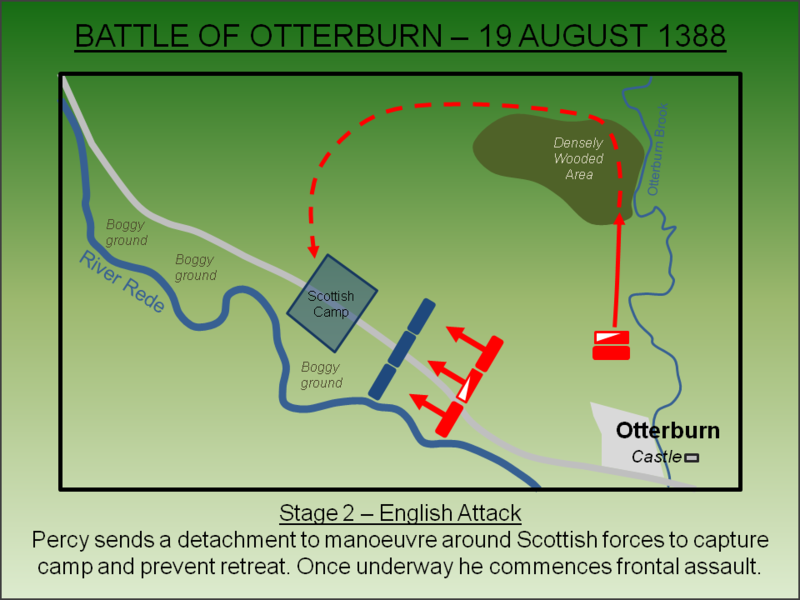 Battlefield Report: Otterburn (1388). Lancaster, J.H.D (2014). Otterburn: Battlefield visit notes and observations. CastlesFortsBattles.co.uk. 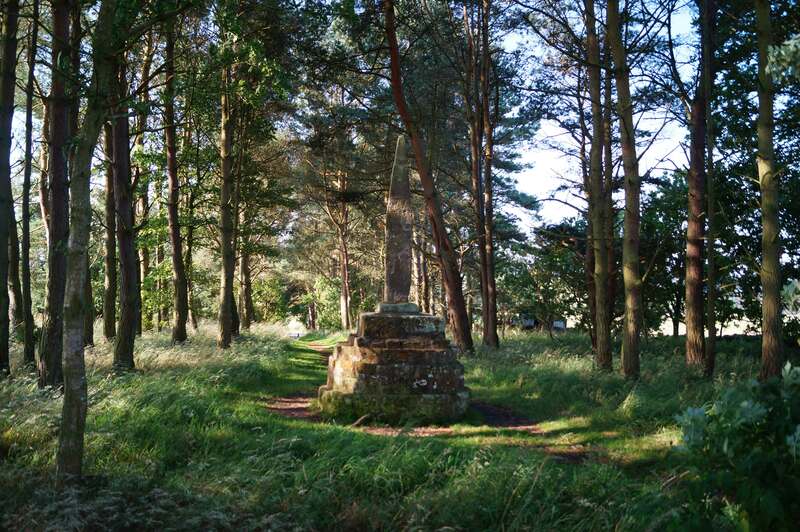 The remains of the Percy Cross, a monument erected in the eighteenth century, can be seen in a small wooded enclosure. The wider battlefield is largely undeveloped although the character of the landscape has changed significantly since the fourteenth century. 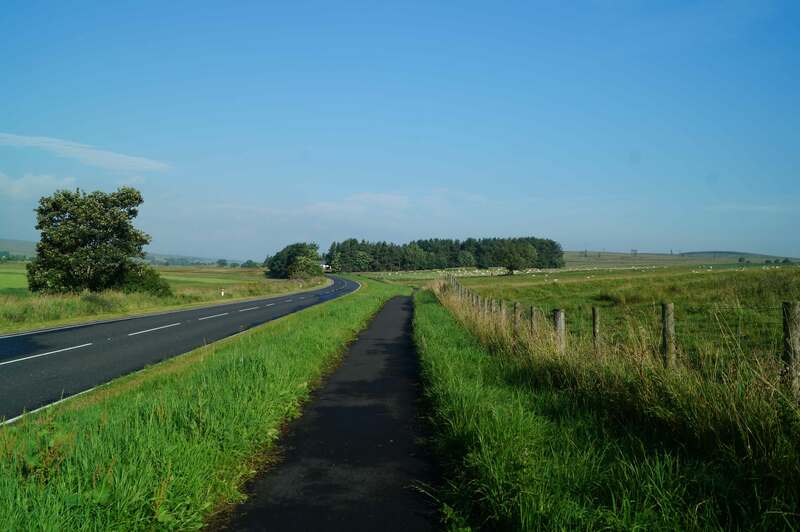 The road and a footpath to the north of the site (accessed from West Townhead) offers good access throughout the battlefield. Percy Cross. The morning after the battle, the site where Sir James Douglas, Earl of Douglas had been slain was marked with a standing stone. This remained in place until 1777 when Hugh Percy, Duke of Northumberland expressed an interest in building a monument to the battle concurrent with construction of the Turnpike Road. The relevant landowner however didn’t trust the Duke but agreed to do the work himself and removed the battle stone to form the foundations of the new monument. This he erected closer to the road so it could be visible to passers-by and reduce any interference from the Duke. The battlefield viewed from the monument. Percy charged towards the camera. The battlefield viewed from the north. River Rede. The river ran to the south-west of the battlefield and confined the action in that direction. Accordingly both the flanking manoeuvres of both armies were to the north. A696. The main English assault broadly followed the line of the road. The modern A696 follows the same route as the medieval road. 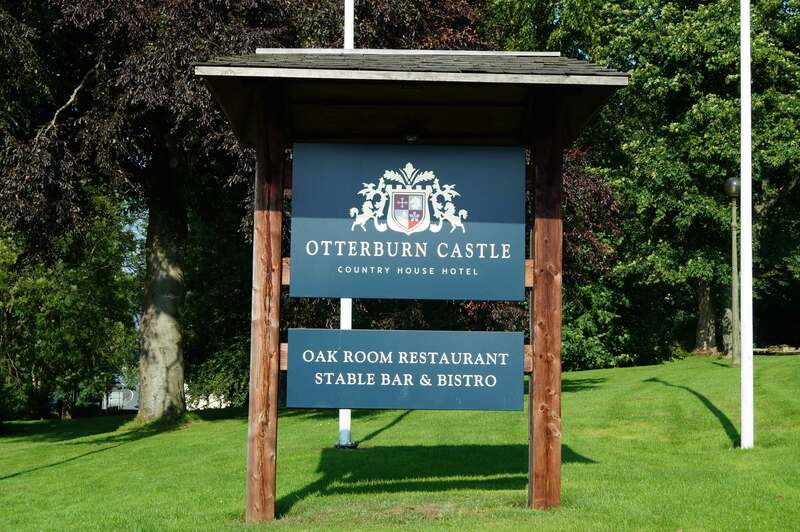 Otterburn Castle. 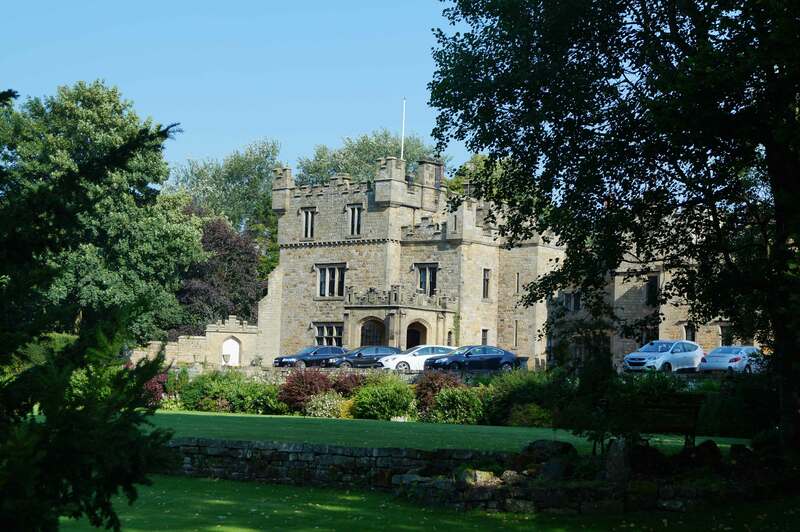 The castle was owned by Sir Robert de Umfraville, Lord of Redesdale whose younger brother, Thomas, led the English attack that flanked around the battle to capture the Scottish camp. The castle had been attacked on the morning on the 19 August 1388 as the Scottish forces travelled from Newcastle back towards the border but withstood the attempts made against it. Despite the Scots winning the battle, they quickly withdrew as English reinforcements arrived and therefore the castle was left intact. 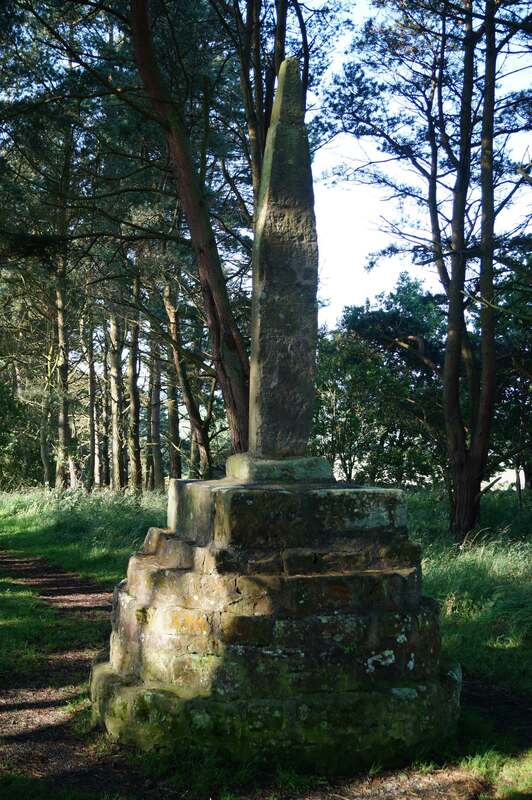 The cross itself is found on the A696 to the west of Otterburn village and is sign-posted. There are car parking facilities on site. The castle is now a private hotel with no routine access for non-patrons but can be seen from the road.